The "Rulers of the Ancient World" is a metrology/design/production project, based around producing a range of period correct rulers from various ancient empires. Stemming from a personal fascination with the creation and development of systems of measurement, this project seeks to highlight the artfulness of handmade tools and the capability of handwork and CNC milling to complement one another and create a unique, novel product. 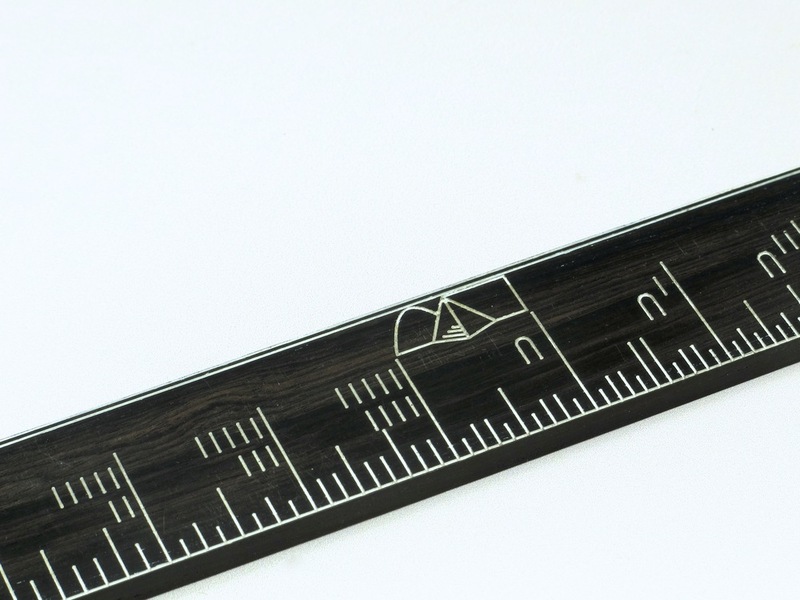 The original series of four rulers (Egyptian Span & Cubit, Roman Cubitus and Japanese Kanejaku) are each locally sourced Hard Maple, hand planed, French polished and waxed, and etched by CNC with a 0.1 mm engraving bit, which is then inked with India Ink, applied by hand. 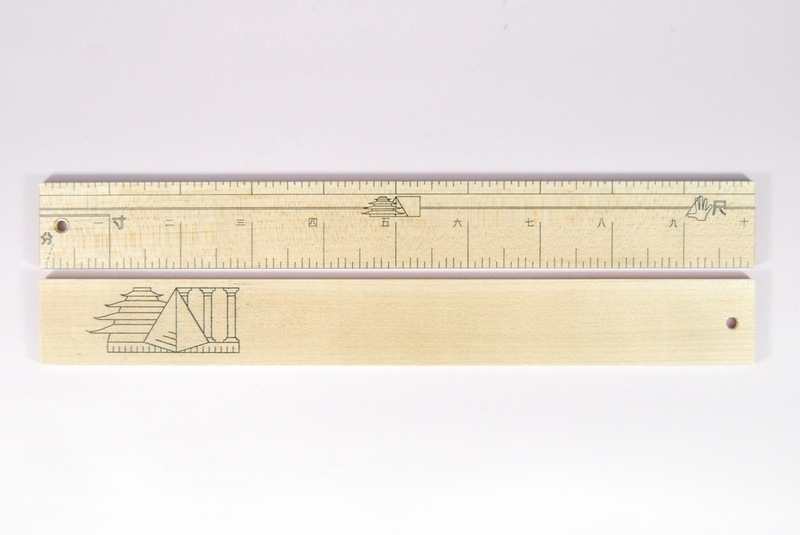 The Limited Edition ruler set, an Egyptian Span, Roman Cubitus and Japanese Shaku, were made with local and historically accurate woods for their respective cultures, and created by similar means. 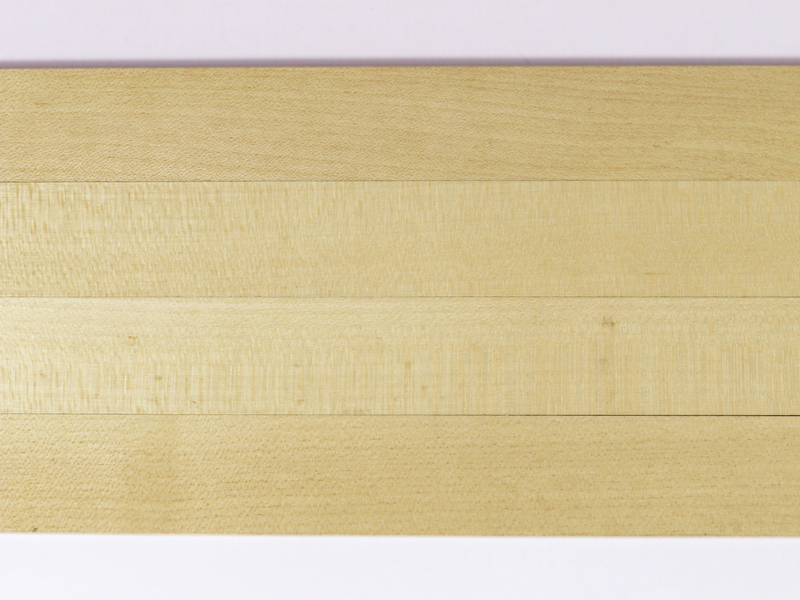 The French "Roubo" Fathom was made with flamed maple, and similarly polished and finished, though etched by hand. 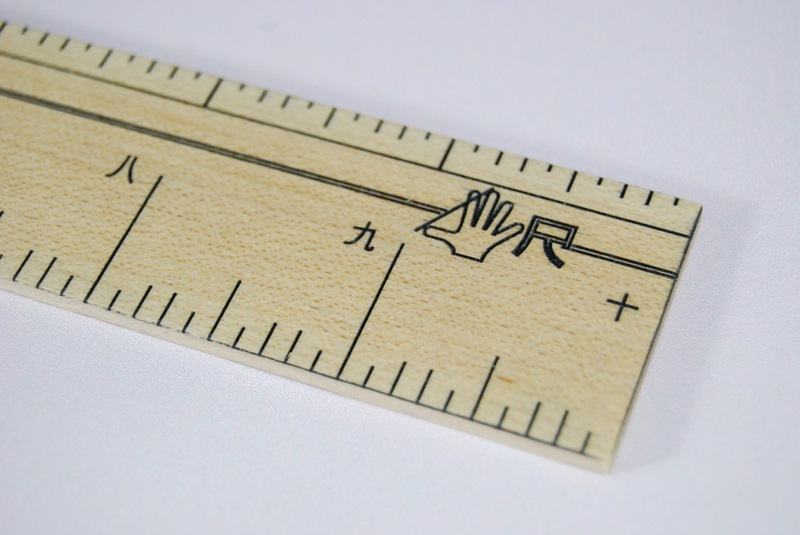 Lastly, like the Limited Edition ruler set, the French "Roubo Pied du Roi" ruler is made of European Sycamore, a geographically correct and culturally relevant wood. The goals of this project are far-reaching- to illuminate the use of these ancient measurement systems, to enable a physical, tactile engagement with a piece of history, and highlight the possibility of beauty and novelty in toolmaking in the presence of traditional techniques and CNC machinery. The French "Roubo" Fathom is based on the pre-metric, 18th century "Pied du Roi," or the King's foot. This foot varies from the modern foot a significant amount, about 51/64" over a foot. This makes each inch (pouce) 1.066", each foot (pied) 12.792" and the six foot fathom (toise) 6.396', or 76.752". This period measurement finds significance through a historic account of woodworking techniques, "L'Art du Menuisier" by André Roubo. In this book (a beautiful reprint of which can be found over at Lost Art Press) Roubo uses the French inch, foot and fathom as a scale for each drawing. This rule is intended as a study aid/physical representation of this unit, for those seeking to replicate or produce projects from the plates, or better understand the scale on which Roubo's work was done. It is taken directly from a drawing in Roubo's work, plate 100, figure 2. 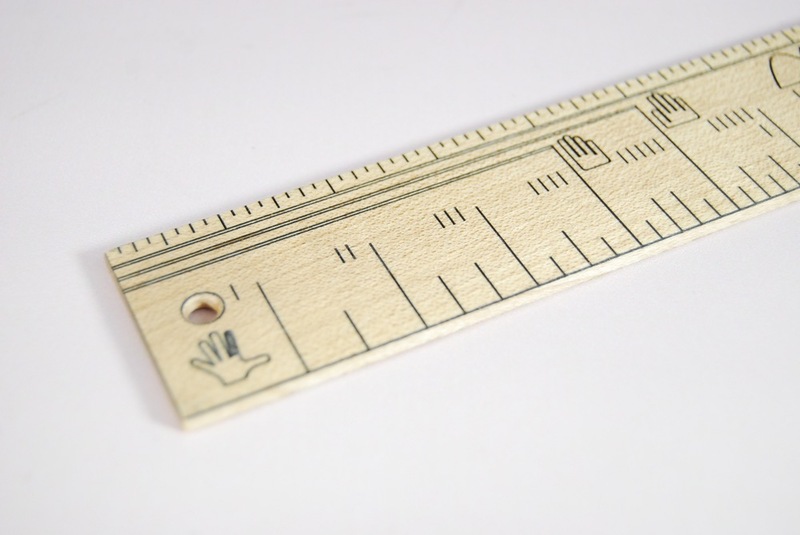 Each ruler is made of gorgeous flamed Maine-grown maple, and fully hand etched and stamped using the traditional, preindustrial techniques, along with hand planed edges and card scraped faces. Each is also finished with hand rubbed shellac and wax. 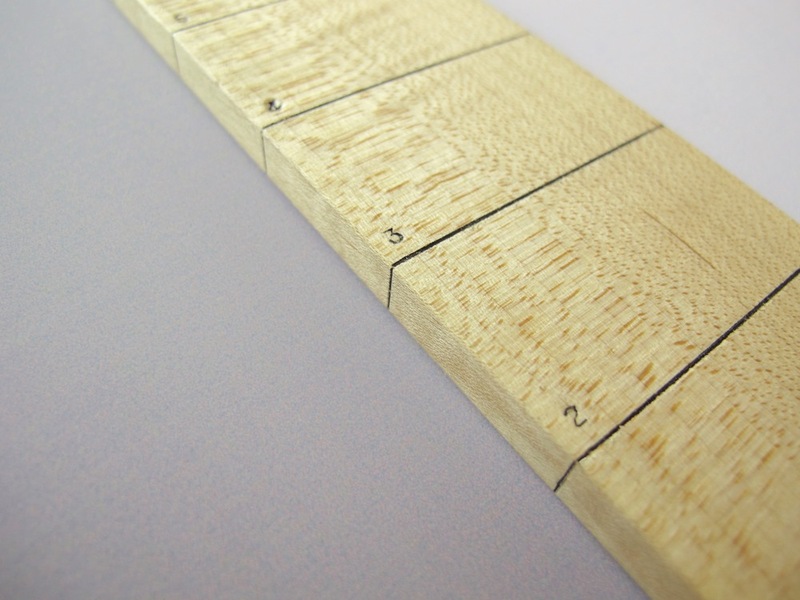 These techniques give each ruler a unique look, individual variation, though each maintains the accuracy of divider layout and tightly scribed lines. They are 76.75" long, 1.875" wide and a heavy 1/4" thick. Intended for use, though refined for display and collection. Plate 100 image from "Roubo on Furniture," used with permission. 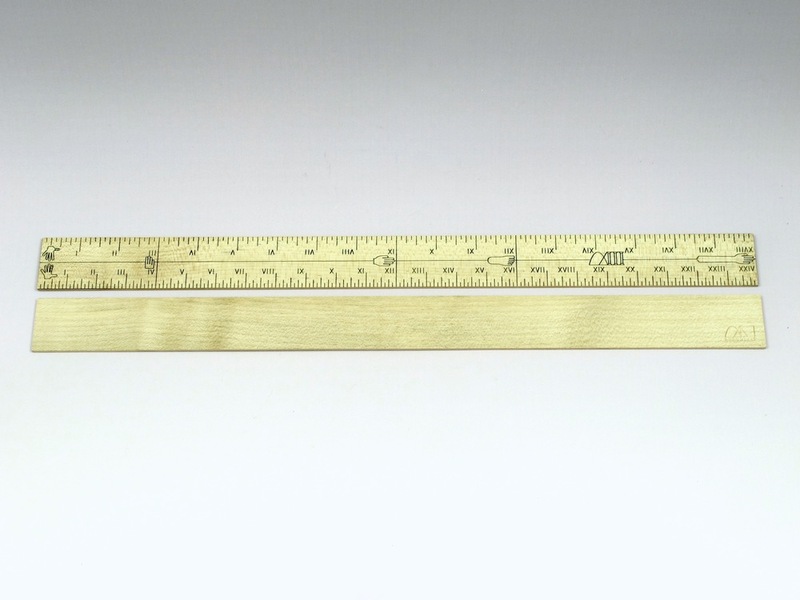 The "Roubo Pied du Roi" ruler is based on the 18th Century French foot. This foot varies from the modern imperial foot a significant amount, about 51/64" over a foot. This makes each inch/thumb (pouce) 1.066" and each foot (pied) 12.792". The inch is divided into 12 lines (lignes), an interested subdivision used by the French for its divisibility. 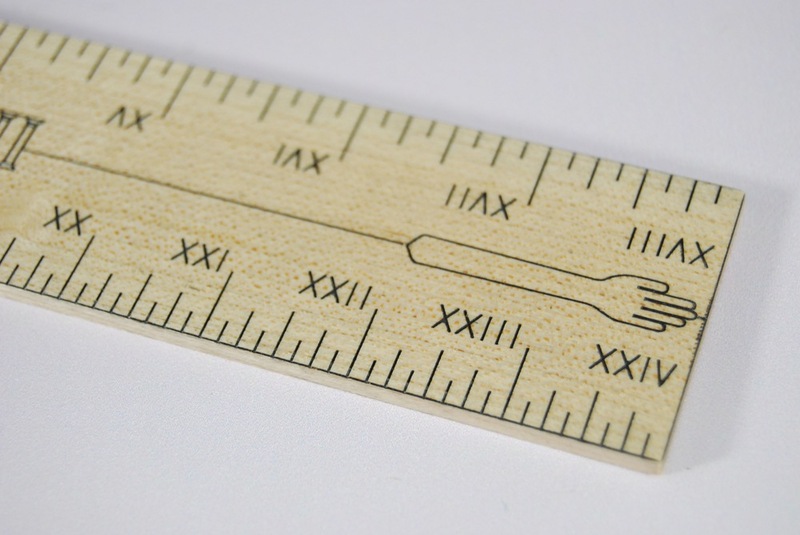 This adds an interesting feature to this ruler- one edge's subdivisions emphasize 1/6 and 1/3 subdivisions, while the other emphasizes 1/8, 1/4 and 1/2 subdivisions. This era in measurement in Europe was one of great variety and decentralization- at one time, dozens of different measures could be found, based on occupation and locale. For instance, on page 100 of Johann Friedrich Krüger's metrological text "Vollständiges handbuch der münzen, masse und gewicht aller länder der erde" (translates roughly to "full manual of coins, mass and weight of all countries of the Earth") shows that even in western Europe (which it seems this text asserts as being "all the countries of the Earth") there were 134 different foot measurements, ranging from 236 to 480 modern millimeters. While certain countries were better at maintaining a consistent measure, it was exactly this issue that eventually led to the establishment and eventual adoption of the metric system- though I have to say, there is a romantic (if ridiculous) impulse to support this diversity of unit on my part- though adoption of common units of measure have undoubtedly led to an ease in collaboration and documentation of all matter of work. Just ask your local physicist if they use inches! 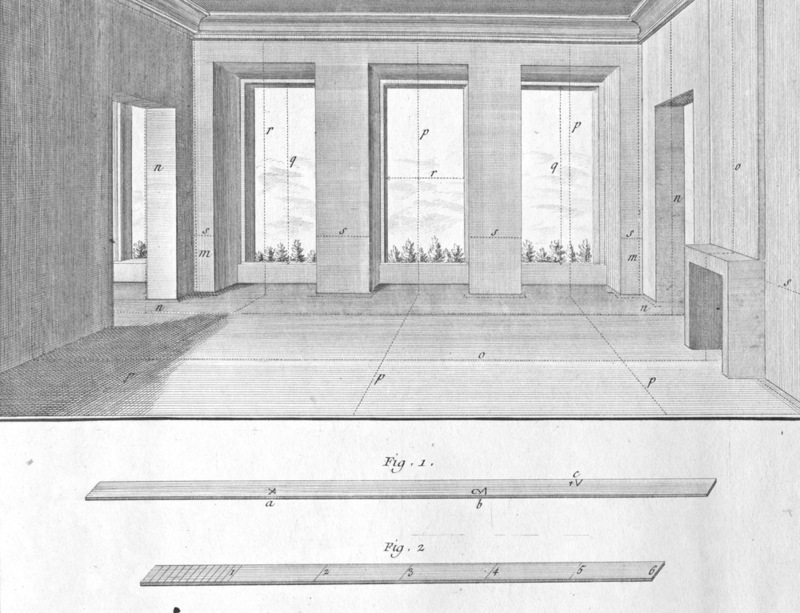 This period measurement finds modern significance through a historic account of woodworking techniques, "L'Art du Menuisier" by André Roubo. In this book (a beautiful reprint of which can be found over at Lost Art Press) Roubo uses the French inch, foot and fathom as a scale for each drawing. This rule is intended as a study aid/physical representation of this unit, for those seeking to replicate or produce projects from the plates, or better understand the scale on which Roubo's work was done. Each is made in French Sycamore (Acer pseudoplatanus), geographically and chronologically significant to the French culture it came for. It is produced in the same format and fashion as the Limited Edition rules, and makes a great edition to that set. It has a hand-rubbed French polish finish, with a hard wax coating, and is handplaned to size and etched by an ultra-precise CNC process. The Egyptian Cubit Ruler and its half size Span ruler are based on various "Cubit Rods" found in the tombs of famous foremen and architects of Ancient Egypt. These rods, given as ornamental gifts by Pharoahs to nobility, serve as references for modern archaeological and metrological experts in determining the dimensions of measures from this time. 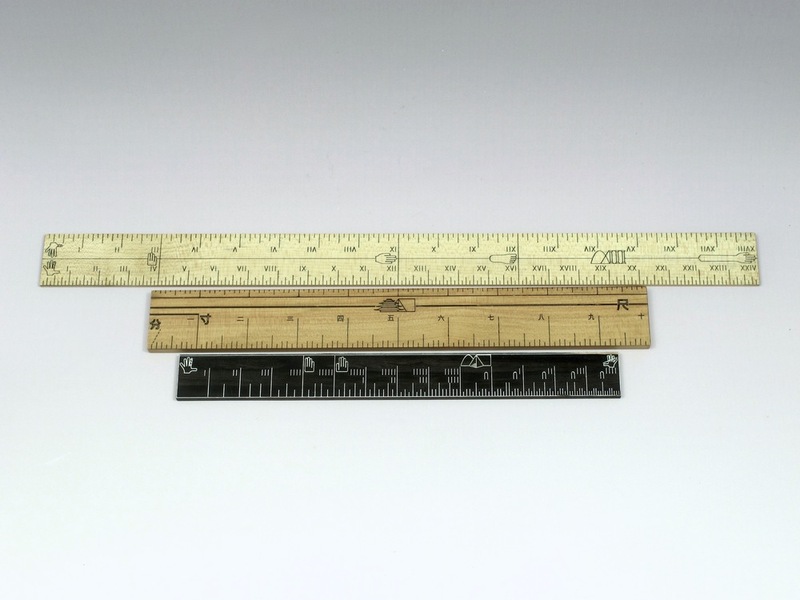 This particular ruler is based on those cubit rods found in the Turin Museum, in Turin, Italy, and its dimensions go back to roughly 1500 BC, during the "New Kingdom" era of Egypt. My initial excitement for metrology came from reading "Secrets of the Great Pyramid," a book by metrologist and egyptologist Peter Tompkins. In this book, Tompkins uses projections of the base units of measure in the civilization who built the pyramids to make determinations as to the geometrical basis of the pyramids, and goes on to use these conclusions to further extrapolate possible uses and design elements of the pyramids. This interest was further heightened when in 2010 I was able to visit the Great Pyramid and spend time, alone with only my father and two sisters, in the Queen's Chamber, the heart of the pyramid. The two ruler's units are based on the Egyptian "Djeba" or finger, measuring 18.75 mm (0.738"). Each is further subdivided into a "Sheshep" or palm of four fingers, "Drt" or hand of five fingers, the "Pedj-aa" or large span of 14 fingers, which is the Span ruler's full length of 10.332". 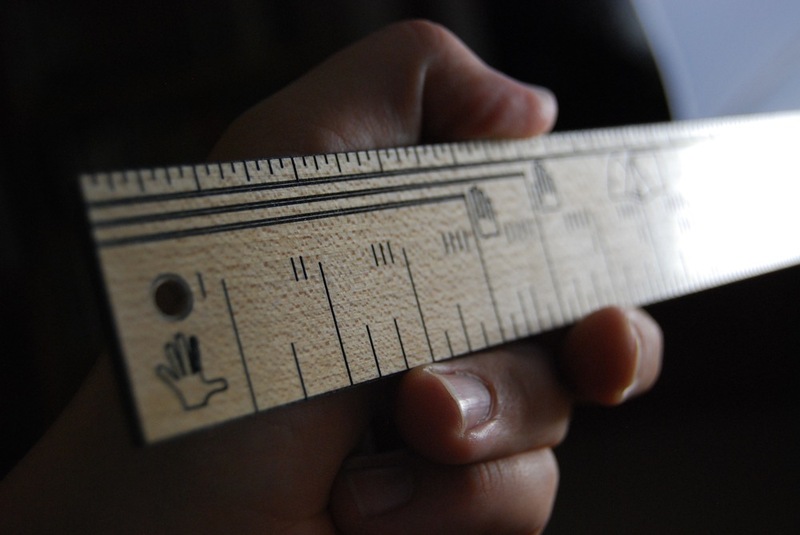 The larger cubit ruler extends to the "Meh Niswt" or Royal Cubit, which is two spans of 14 fingers, or 20.664". An interesting quirk of these rulers concern the first fourteen fingers, each of which is divided into their respective subdivision, for example the seventh finger is divided in seven, the tenth into ten, so on. This is copied directly from the ancient cubit rod relics, and speaks to both their use and possession of divider-like tools, and their use of fractional, complex mathematics. A small article from the Metropolitan Museum of Art on Cubit Rods. Egypt Origins, an HTML-ey website full of technical and detailed accounts of Egyptian units, cubit rods, and other such information. "Secrets of the Great Pyramid" by Peter Tompkins on Amazon. Digital Egyptian Museum, another old school HTML website full of good information on the Ancient Egyptian Civilizations. The Japanese "Kanejaku" or Shaku Ruler is based on the Japanese unit of the "Shaku," an ancient measure derived from the Chinese "Chi," adopted in Japan in 701, though the units used here are based on those in use during Japan's Edo period, from the 17th to 19th centuries. Its original length was likely much shorter than the standardized 303 mm, as it was originally the length from outstretched thumb to middle finger. Several stories attempt to explain the change, my favorite of which tells about its use in taxation, and its elongation due to corrupt officials attempting to lengthen the unit and therefore increase their take. The unit standardized in 1891 was based on the "Kanejaku" or carpenter's square measure, as it had seemingly changed the least over time, in part due to its use in temple building. As this is a tool made for (and by) woodworkers, I was inclined to name it after this original unit. The unit was standardized to 10/33 meters, or around 11.93", though its proximity to the foot is happenstance. While the base unit is the "Shaku" of 303 mm (~11.93"), there are further decimal subdivisions. The 寸 or "Sun" is 1/10 of a shaku (~1.19"), and the 分 decimal or "Bu" is 1/100 of a shaku (~0.119"). 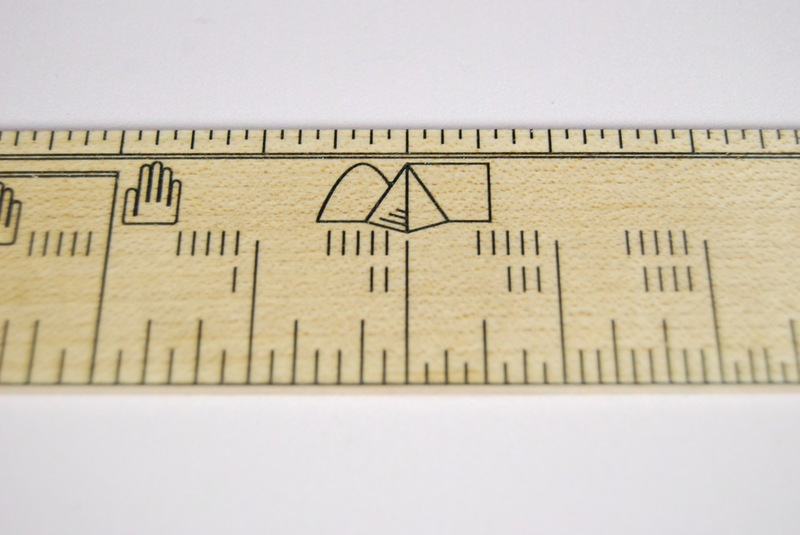 An interesting aspect of this ruler from a design standpoint was the question of how to represent the numbers and characters of the Japanese language. With the other rulers, I used the characters that were common at the time of the measurement's use, and do not use any modern characters or anachronistic type or language. However in this case, the unit was adopted in Japan in 701 CE, but changed so much over that time that the only reasonable measurement on which to base it was its 1891 standardized length. So, I opted to use the modern numbering scheme, opting out of using more formal Japanese number system or more primitive. As the unit is still in use today among temple builders and other traditional Japanese makers, this is in part a salute to the relevance and steadfastness of the unit itself. I also took the time to design and redraw my own Japanese characters, both for the numbers and the characters for the Bu, Sun and Shaku. An interesting etymological note- the Shakuhachi instrument of Japan takes its name from its length- one shaku and "hachi" (eight) sun, their combination in a etymological blending being shaku-hachi. Just a fun note. On another note, there is another "Shaku" unit, called the "Kujirajaku" or Whale Shaku. It is used in the textile industry, much like the yard in the United States. It gets its name from the baleen of a whale, which were used as measurement tools themselves. 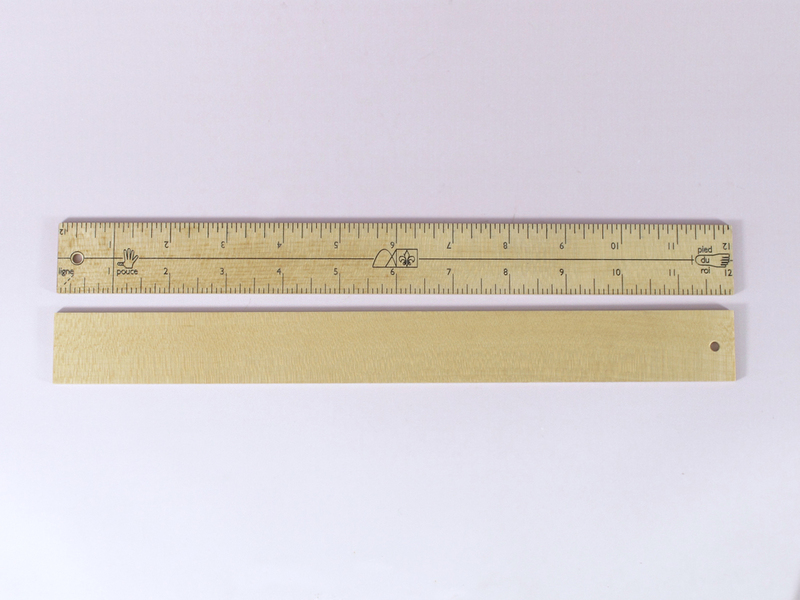 This ruler is around 379 mm (14.9") inches long, and a great example of using a natural resource with a relatively consistent length as a measurement tool. 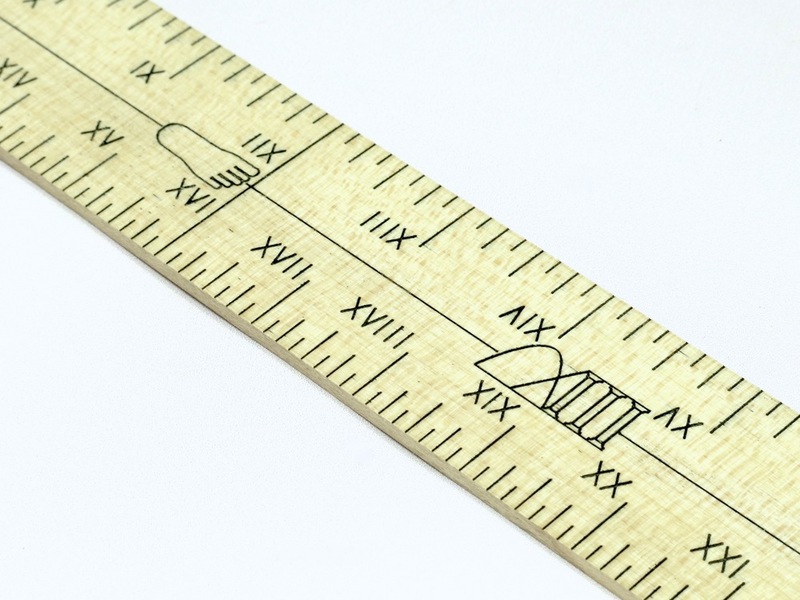 I'd make a ruler in this size, but its nature as a flexible ruler for cloth would be lost being made of wood, and I'm certainly not interested in acquiring any baleen! There are even more "Shaku" for various trades and special purposes, like the "Gofukujaku" used by traditional Japanese clothiers. Japanese FAQ page with a large amount of information on the different units, and a brief history on the units. Tools from Japan's page on the sizing of Japanese Kanna or handplanes, with an interesting big of information on why the "Kujirajaku" is used, instead of the standard "Kanejaku." Reibo, a website about Shakuhachi including some interesting musicological/technical writing on the use of shaku in determining pitch in the traditional flute. The Roman "Cubitus" Ruler is based on the measure used in Ancient Rome roughly around the time of the Second Triumvariate period, circa 40 BCE. The base unit of the Romans was in fact the "Pes" or foot (296 mm or 11.65"), though they used the cubit as well, measured at 1 1/2 "Pes," or about 444 mm (17.47") . The subdivisions of the foot may be this ruler's most interesting feature- the foot is divided into both 12 "Uncia" or thumbs (etymological root of inch) and 16 "Digiti" or digits. This comes from a duality of systems- the Greek divided their foot into 16 "Daktylos" or fingers, but this older system gave way slowly over the course of the Empire's reign to the "Uncia," a division of twelve. Interestingly, these units coexisted for some time, with different regions using the different subdivisions. 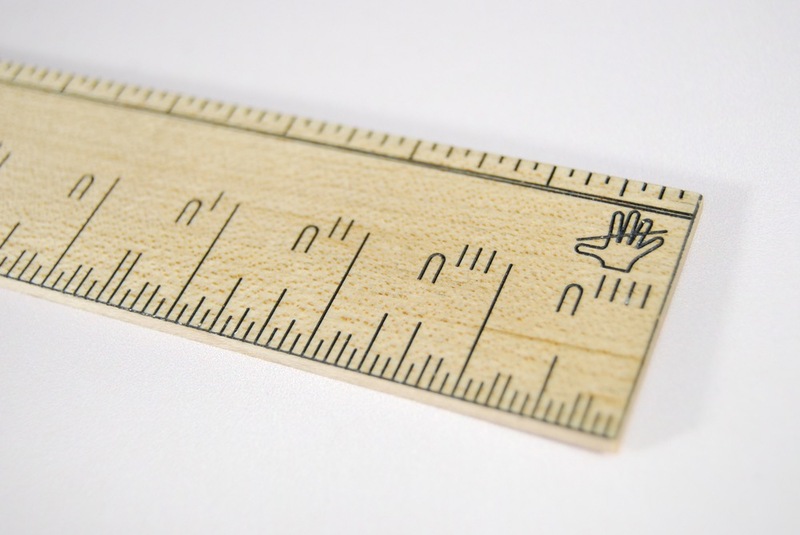 My inclusion of this ruler and system of measurement in this project is two-fold. For one, this is one of the most widespread measurements of all time, maybe the most widely used before the British foot and Metric system traveled the world. On the other hand, it is very similar to many other measurements around that time, and represents what many coexistent civilizations were using, including the Egyptian and Byzantine Empires of the first few centuries CE. It also is the distant source of the modern English foot, being very similar at 11.65" (though not as close as the Shaku at 11.93", which is simply a coincidence). Furthermore, there is some controversy as to whether the "Pes" refers to an anatomical foot or a shoed or booted foot, and account for the general truth that one's foot is shorter than an actual foot. 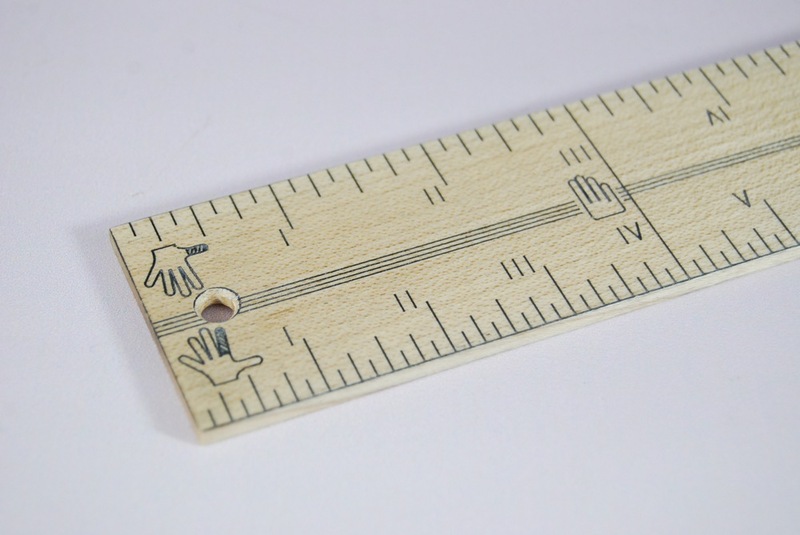 Aside from the "Cubitus" and "Pes," this ruler also features the "Palmus" or width across the palm, and "Palmus Major" or length of the hand from heel of the palm to tip of the middle finger. I wish I could feature some of the longer length measurements, as they get colorful in longer lengths- a step of 2 1/2 feet, a pace 5 feet, a perch of 10 feet, and the famous stadium of 625 feet. 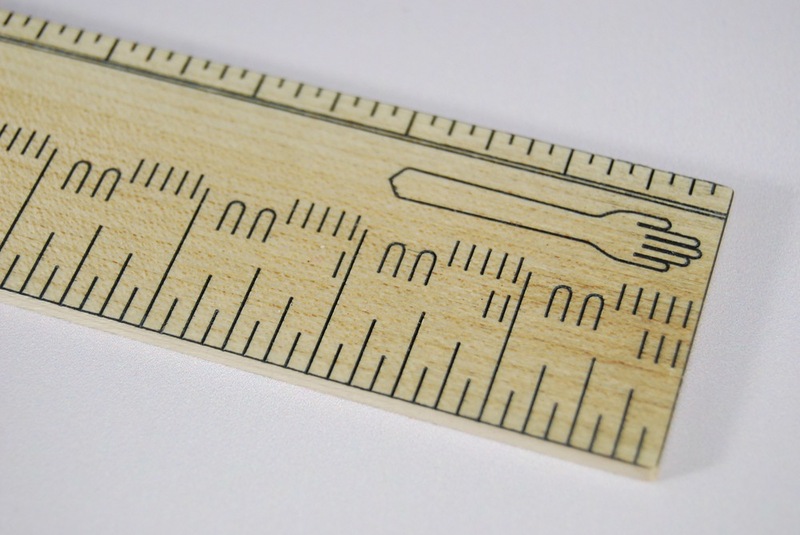 I'll have to make some really long rulers to attain these measurements. Maybe some day. There is a huge body of research on this subject. Metrologists have studied the Roman foot for centuries, and it's relation to the English foot is a widely discussed topic. This research goes as far back as 1647, when John Greaves, an antiquary, astronomer and mathematician, wrote the snappily named "A discourse of the Romane foot and denarius; from whence, as from two principles, the measures and weights used by the ancients may be deduced" in which he writes at some length attempting to determine the true measurement of the Roman foot, by way of measuring various statues and buildings (which, thanks to the magic of the internet, you can read in full at the link above). Others later picked up the research and posited their own conjectured measurements, notably Sir William Smith, a lexicographer who compiled a number of researched sources for his "Dictionary of Greek and Roman Biography, Mythology and Geography." John Greave's book on the Roman Foot written in 1647, also discusses the denarius, the Roman currency coin. English Translation of a primary source on the use of digiti and uncia, written by Frontinus in the 1st century CE. UNRV website page on the length measurements, which is brief but the site as a whole is a great resource for Roman history. Derived from my research into the units used in early Indus Valley civilizations, this ruler's system of measurement comes from unearthed relics from Mohenjo Daro, coupled with research spanning from the indigenous Nepalese systems to Vedic texts like the Arthashastra. This system's base unit, the "Angula," or finger, dates back to around 2500 BCE, making it one of the oldest systems of measurement known. The Angula I've chosen to use is 16.764 mm, a measure deciphered from an unearthed scale etched on a shell, found on the Mohenjo Daro archaeological site in 1930 by Ernest Mackay. 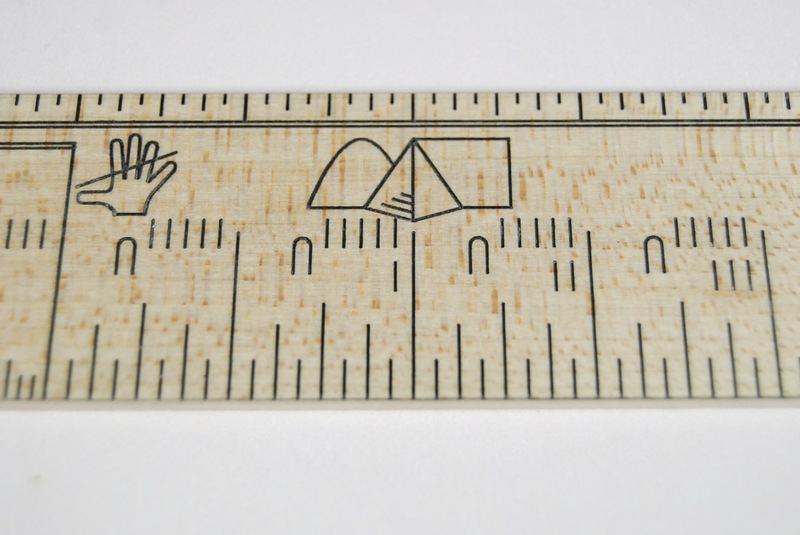 This ruler is unique, in a few ways. First, it is about half as wide as the standard maple rules- this is largely because it has no subdivisions below the finger (Angula) and could therefore be made smaller- though it is long, at 15.847". The numerals are new, as well, being Devanagari Sanskrit numerals, as would have been used in the time of the measurements. It also has two new "corporeal" units- the "Bow Grip," or Dharnugrah, of four fingers, and the "Fist + Thumb," or Dhanurmishti, of eight fingers. 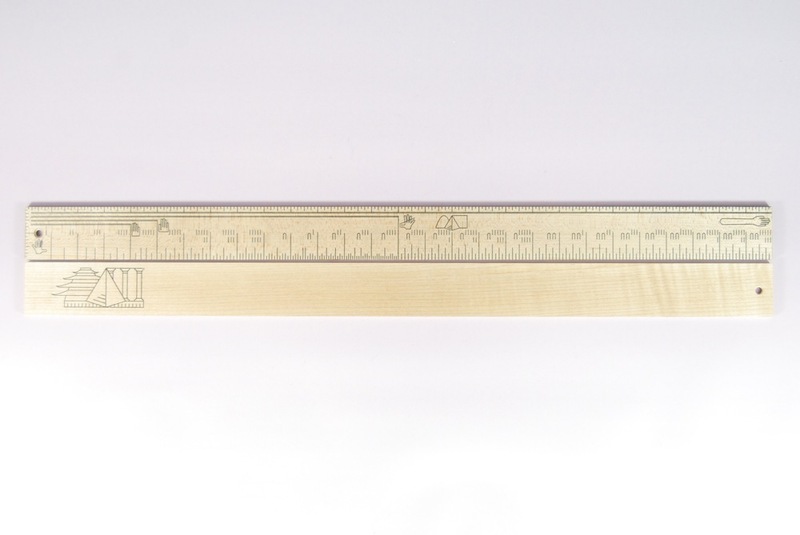 The ruler is Maine-grown, quarter sawn Hard Maple, with a hand rubbed French polish finish with a hard wax coating, hand rubbed india ink etching and hand planed surfaces. 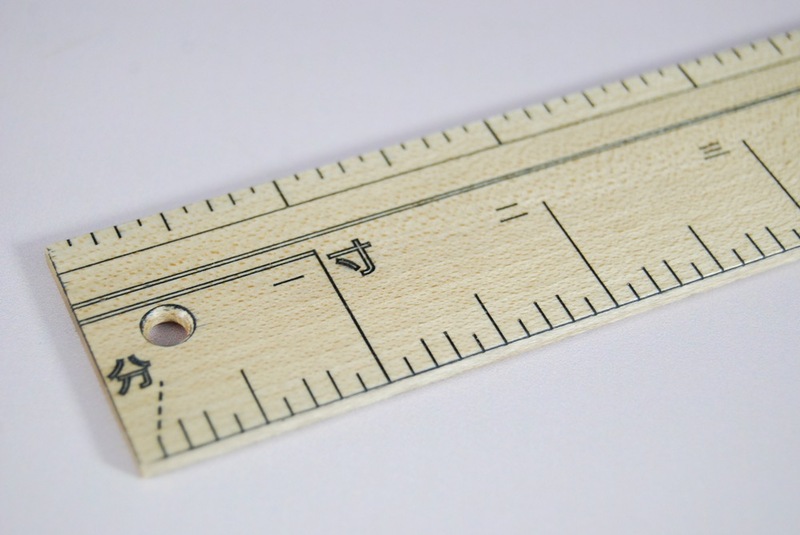 Each ruler is slightly individual, though precisely dimensioned. There will be slight variants in grain and etch depth do to its hand made nature. This set of three rulers, in an edition of only ten, is the culmination of research into the native timbers, measurement systems and traditions of three ancient cultures- Dynastic Japan, Pharaonic Egypt and Ancient Rome. The first is a Roman Cubitus rule, made in quarter-sawn European Sycamore (Acer pseudoplatanus), a wood famous in ancient Rome, mentioned and revered by many of the famous Roman historians. It depicts several of the main units of Ancient Rome, the Hand, Span, Foot and Cubit, measured in both Digiti (1/16th of a Roman Foot) and Uncias (1/12th of a Roman Foot), both of which were used at various points of the Roman Empire. This is the longest ruler of the set, and the thinnest, allowing for some flexibility, as the wood is a very strong and sturdy timber. The next is a Japanese Shaku made in Japanese Cedar (Cryptomeria japonica) also called sugi (杉) by the Japanese. This wood is planted ornamentally around many of the temples of Japan, and is appropriate for this ruler, as the "Shaku" unit was the base unit of building the temples and shrines of Dynastic Japan. The Japanese "Kanejaku" or Shaku Ruler is based on the Japanese unit of the "Shaku," an ancient measure derived from the Chinese "Chi," adopted in Japan in 701, though the units used here are based on those in use during Japan's Edo period, from the 17th to 19th centuries. The last of the set is the Egyptian "Span" ruler in African Blackwood (Dalbergia melanoxylon), called hbny by the Ancient Egyptians (which happens to be the etymological root of the word ebony). This was a wood of great value in Ancient Egypt, used in ornamental goods and furniture, often for the pharaoh himself. The Egyptian "Span" ruler is based on various "Cubit Rods" found in the tombs of famous foremen and architects of Ancient Egypt. 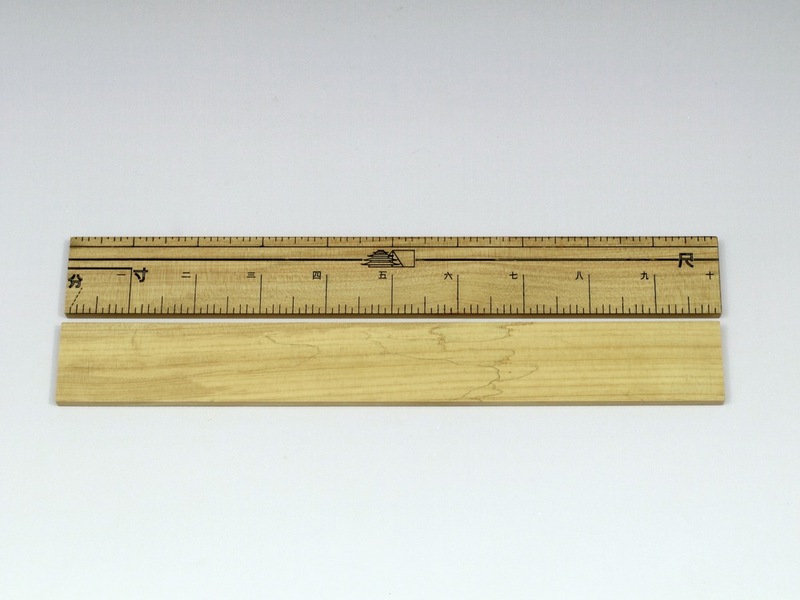 This particular ruler is based on those cubit rods found in the Turin Museum, in Turin, Italy, and its dimensions go back to roughly 1500 BC, during the "New Kingdom" era of Egypt.